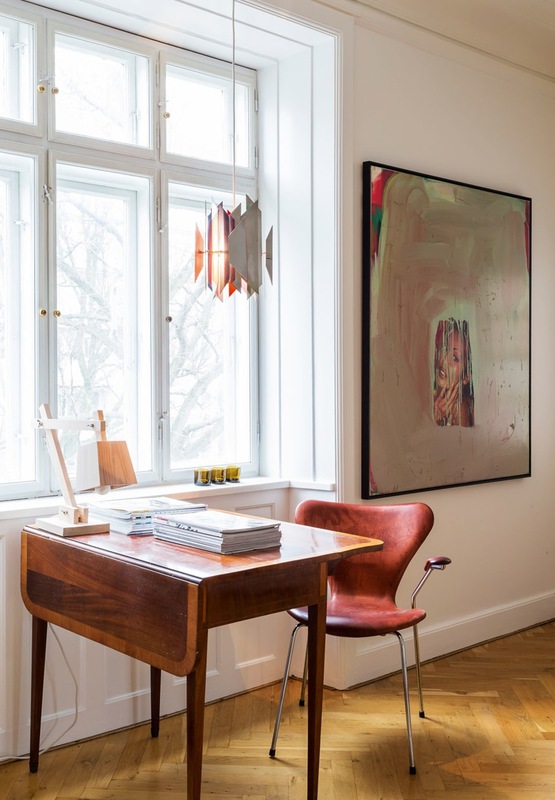 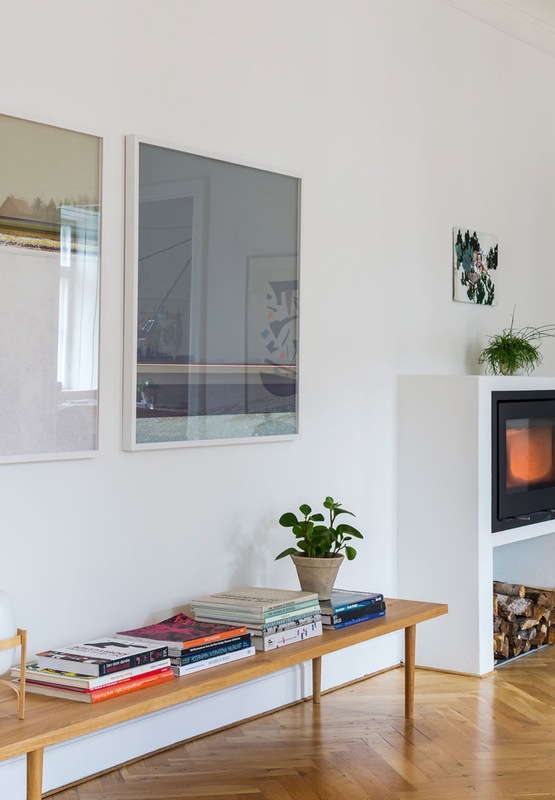 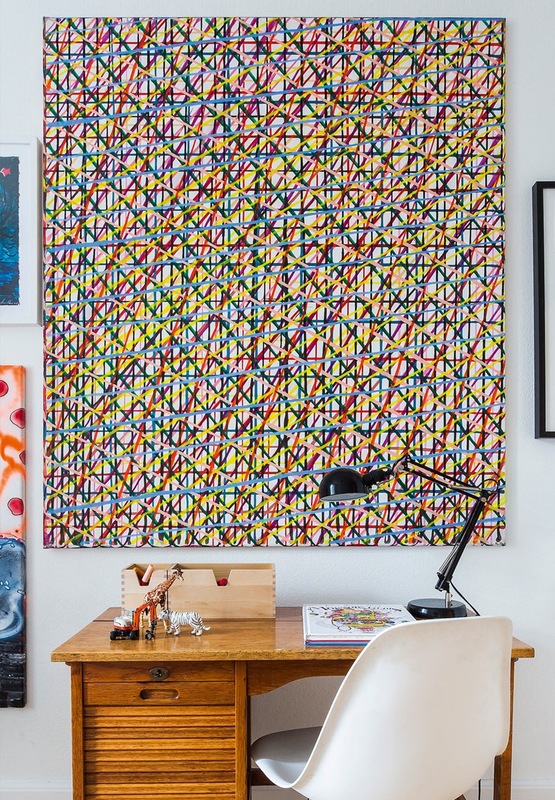 Artist Anne Aarsland with her family lives in this cool, 195 square meters large apartment. 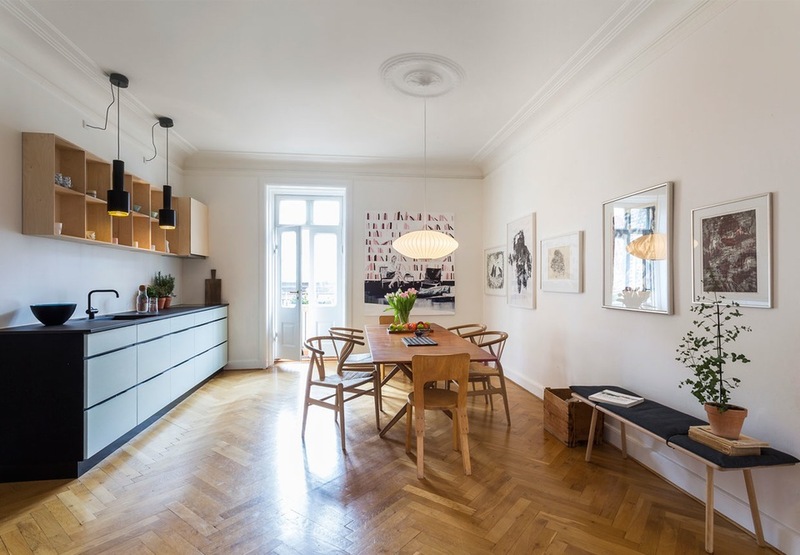 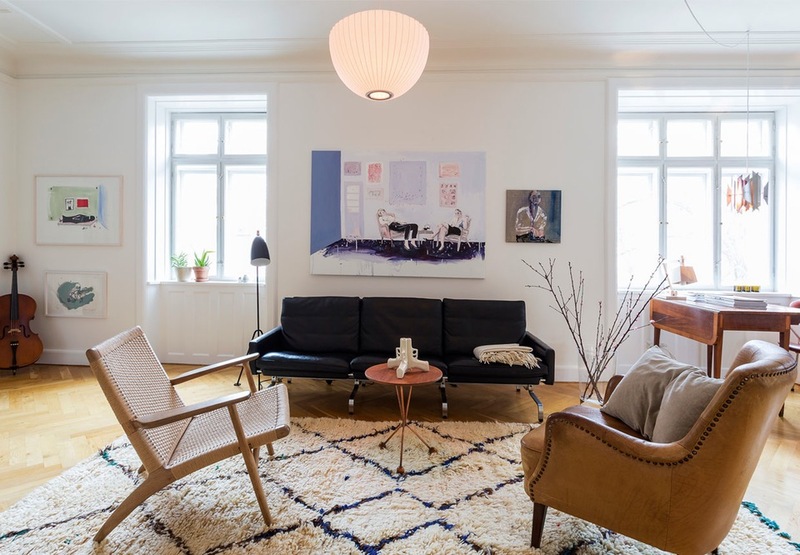 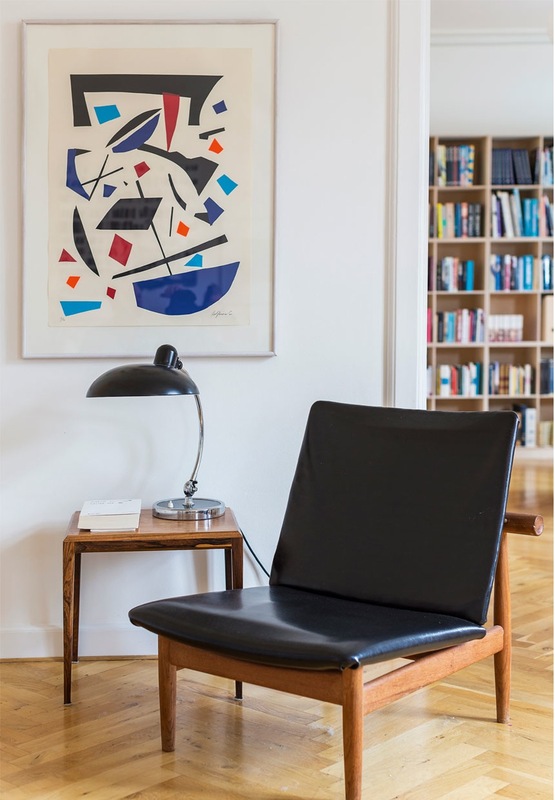 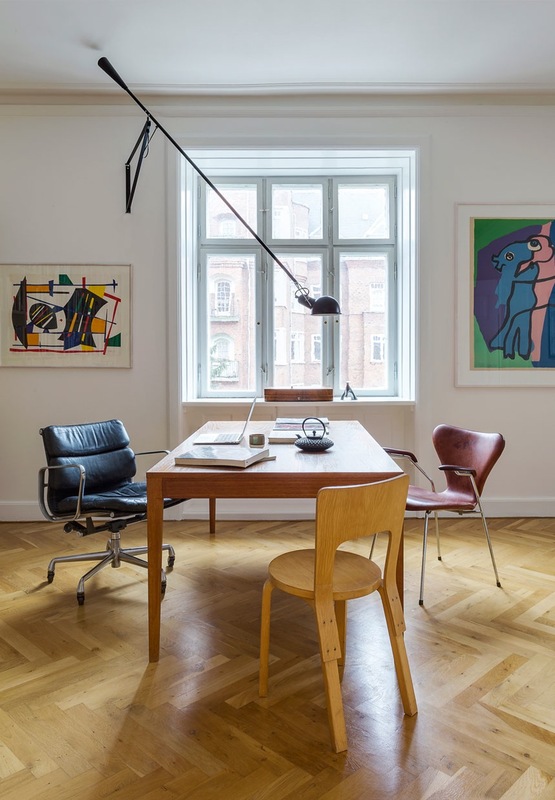 Herringbone floors, ceilings with elegant stucco and large windows provide a good basis while the designs from Hans Wegner, Alvar Alto or Arne Jacobsen and collection of modernist and contemporary art adding some excitement. 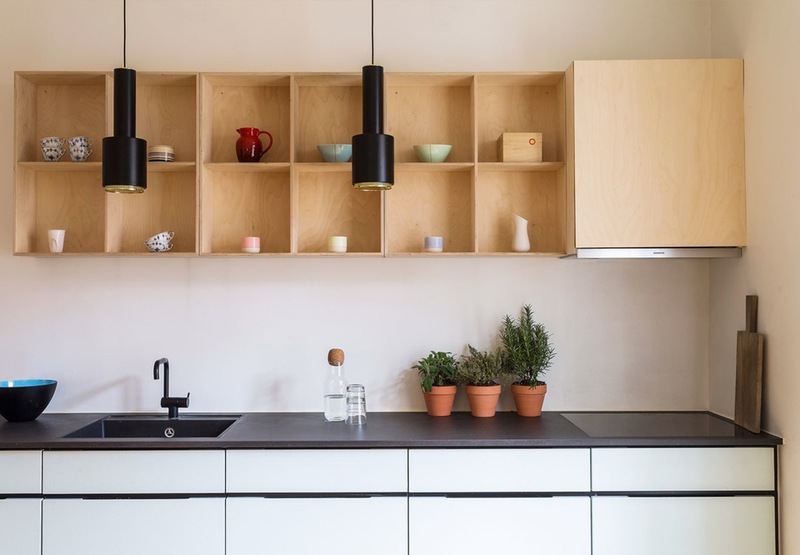 I really like the minimalist look of the kitchen as well, those plywood wall shelves and minimalist lamps are cool idea and nice contrast to the rest of the home.